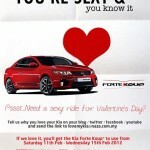 PETALING JAYA: Every Valentine’s day since the year 2000, the world has experienced a wave of malicious love-related viruses which spread through the combination of e-mail and infected websites, according to Internet content security company Trend Micro. The virus has gone by many aliases over the years. Typically, in the few weeks leading up to Valentine’s Day, “love” messages flood e-mail inboxes all over the world. These e-mail messages would contain a link that redirects a user to a website with heart images in the background. When this page is clicked, the user is prompted to download a malicious file, detected by Trend Micro this year as WORM_WALEDEC.AR. The purpose of the virus is to compromise the security of infected systems by opening random ports to listen for commands from a remote user. This makes the computer extremely vulnerable to infiltration, Trend Micro warned. To combat this, the company is offering a patch for its customers as well as a free malware scanner and cleaner for anyone wanting to clear the virus off their computers. For non-Trend Micro customers, the link to the scanner is housecall.trendmicro.com. Trend Micro customers can download the patch at us.trendmicro.com/us/products/ enterprise/web-protection-add-on. For more information of the virus itself, other threats and general Internet security issues, visit blog.trendmicro.com. Valentine’s Day Giveaway! 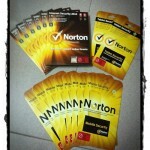 FREE Norton Antivirus!